Hey all, this has been in the works for a bit and I'm finally ready to make an initial run available. I developed this rearset adapter while building a custom '99. I had a set of CBR929/954RR Sato brand rearsets on hand, and so developed the adapters around them. 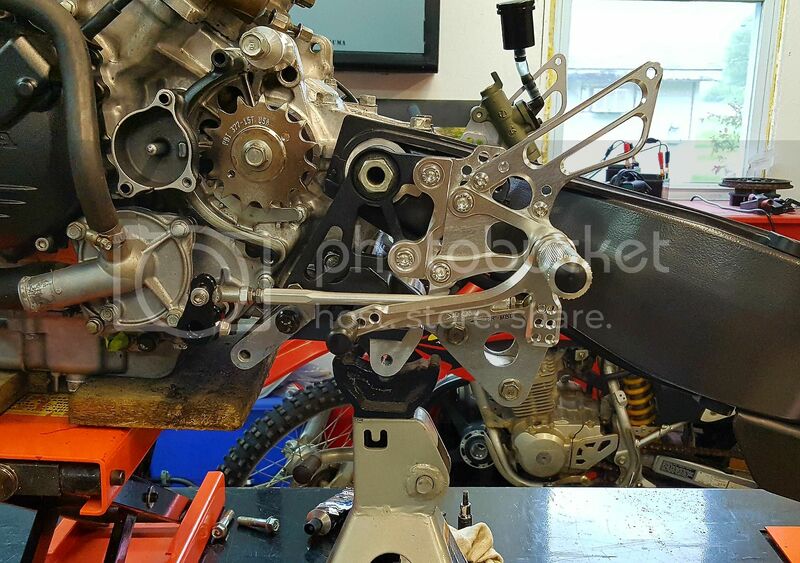 I have designed them to place a racing-style 954RR rearset in the oem VFR peg position at the lowest, most forward position when the new rearsets are installed in the CBR orientation. This allows track or race style "up & back" adjustment. 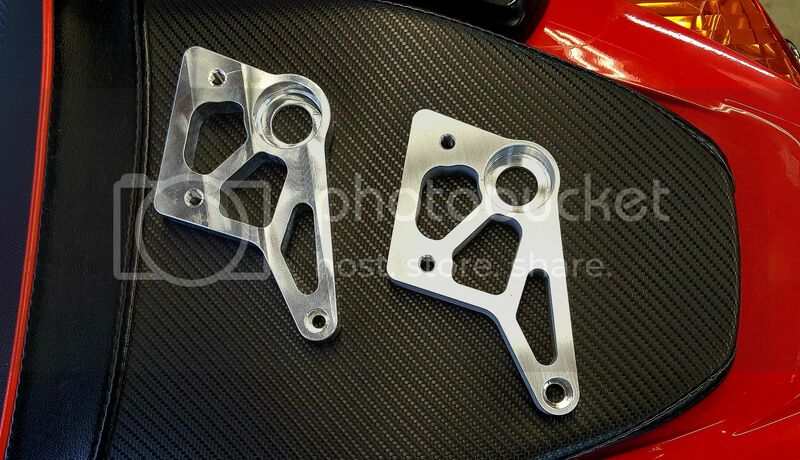 Because of the 2-pc design of most racing rearsets, the plates can also be flipped Left to Right to allow the pegs to be positioned lower than stock VFR position. I am selling these adapters as a kit at a pre-order price of $140 for the 1st 10 orders. All orders beyond the 1st 10 will be $150. 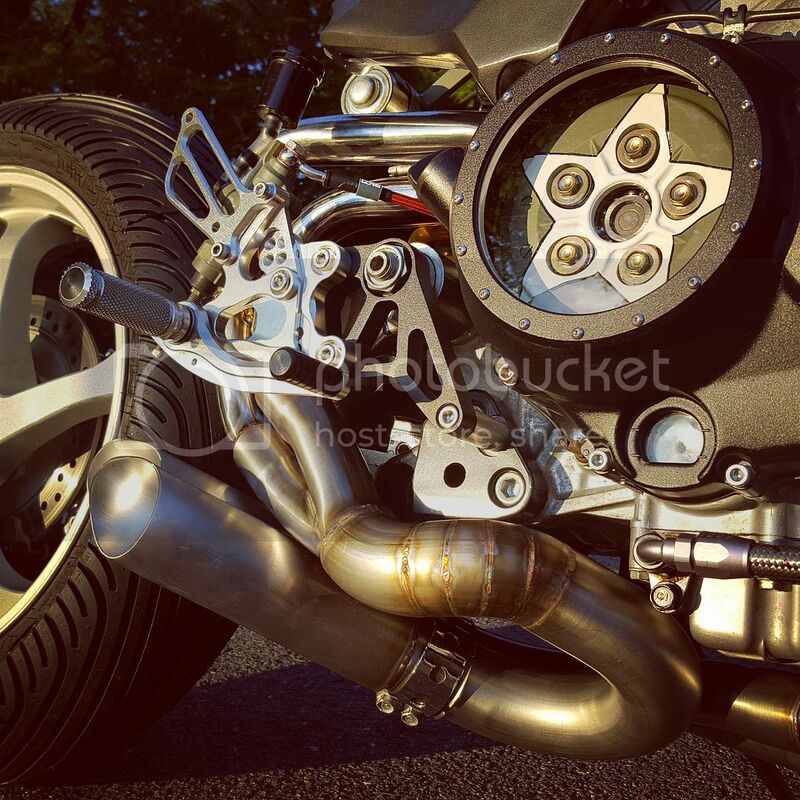 To complete this modification to your bike, you will also need to purchase an oem or aftermarket set of rearsets made to fit a 00-2003 CBR929RR or 954RR (fit is the same). I chose to leave this option to the end user rather than A) maintain an inventory and B) limit style and selection. The world is your oyster folks, there are a great many options out there for CBR sets! I will accept pre-orders as defined by a response to this posted list in combination with 50% down payment via paypal. As with my clutch cover buy, I'm kicking back $5 of each pre-order to VFRD! Lead time is a few weeks or less. Soon as we hit 10 we'll get started. I will measure and let you know, don't have it comitted to memory. Just remember that the bolt spacing is only 1 part of the peg location equation - if you use other sets then you're kinda on your own for fit up. Nice, now to go check out what 54 sets are going to do here. Good job. I've been looking into this. Looks like Gilles Tooling or Sato based on what I found so far. Was hoping there was a Woodcraft set, but alas no. 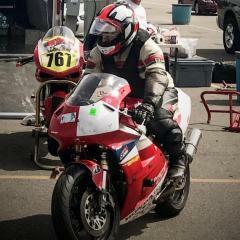 I am really impressed with the Driven rear sets on my FZ1. 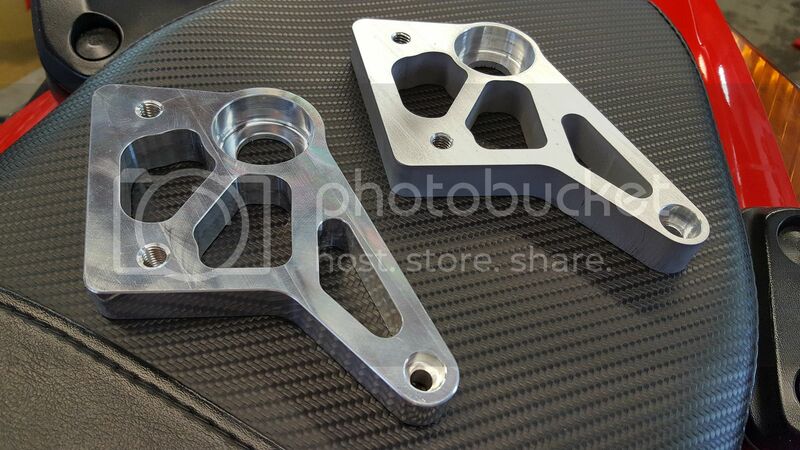 They also make a set for CBR954. I will think on it and get back. Added folks who have confirmed here and via other methods. No sir. The parts I've designed are a fair vit smaller than the oem parts, and so the caps will not fit. I could probably design a new cap, if there is significant interest. Well now, time for some Ti nut bling then. Any chance we can get a full side on view of bike square on so that I can make my mind up? 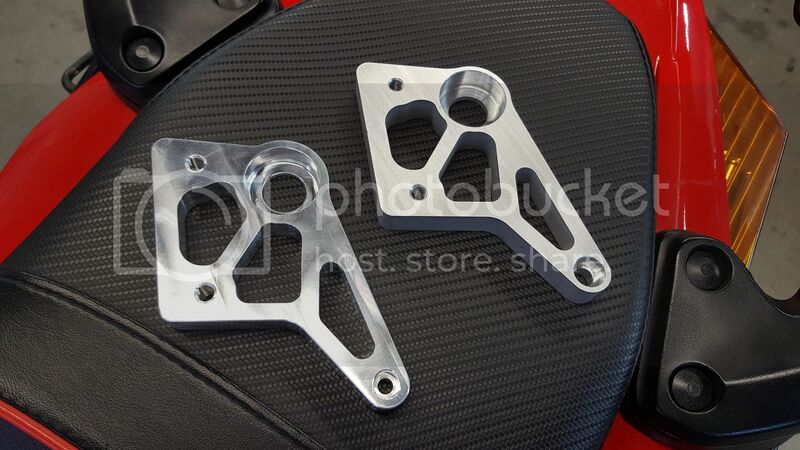 I just sold some parts to rod numbers (window clutch cover). 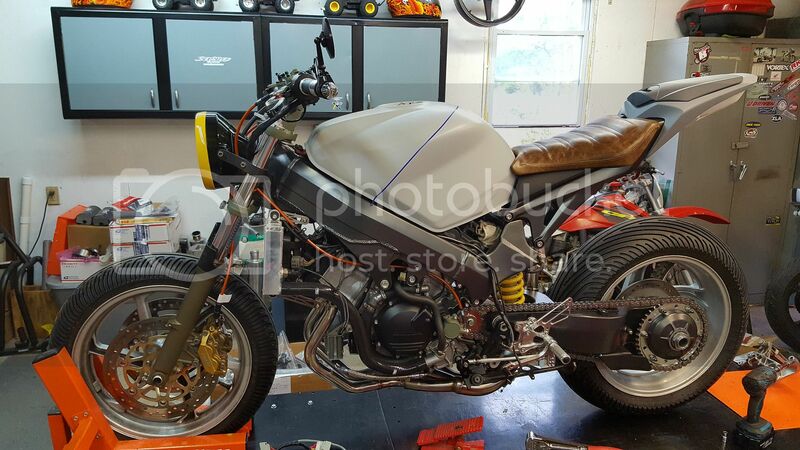 The bike is as yet unfinished, nor standard (custom naked conversion), so I'm not sure how much help it would be. I do have a few more pics I can link over later today. Thanks mate, it's more to try and figure out where the pegs end up compared to standard. I'm in. Any other euro buyers who can share shipping here? No problem. The new pegs can duplicate the standard position by being placed in the lowest, most forward position. All up and back from standard, or down and back if you flip the new (mid) plates. Like seb did for me and another mate who when we both bought bits at the same time, I am happy to share postage and forward on the aus items if everyone else is cool with it. I already have loseb's address from when I sold him my RC51 oil cooler, and vfroz and I are both in Sydney. When do you want the 50% deposit, Seb? Once we hit the minimum of 10, I'll send everyone a pm with paypal details. I checked on international postage today, it looks like $25US will get 1 set to the UK or Aus. That figure should hold true for most of Europe and western Canada. Mainland USA can ship in flat rate boxes for under $10. If the weight jumps over 2lbs, the cost goes up to about $35. As always, I let the buyer tell me how to declare value - I have no problem with marking as a gift & low value if import duties are an issue. Happy to share postage costs Keef. 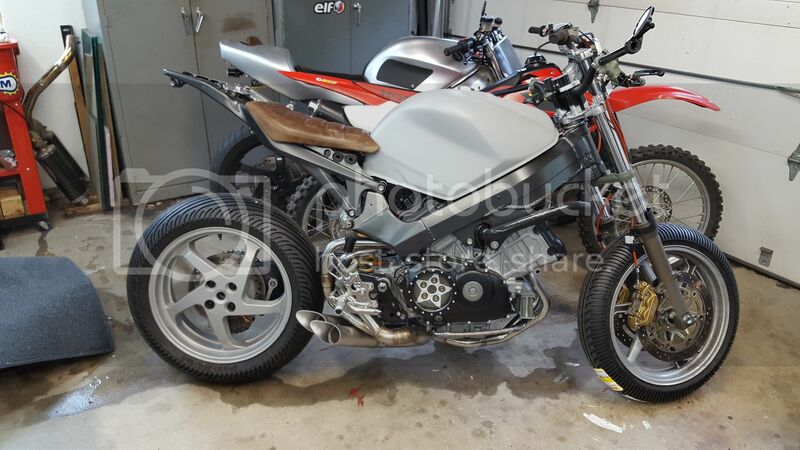 What subframe and tail tail is that?